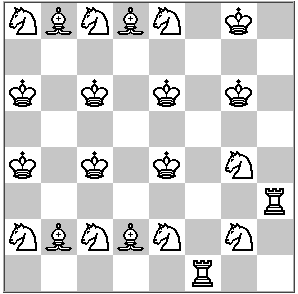 Everybody knows that we can place 8 queens in a chessboard without threatening each other (see here). Same reasoning can be applied for knights, bishops, rooks and kings. Giving respectively 32 knights, 14 bishops, 8 rooks, and 16 kings. If we assign to each type of piece a value inversely proportional of the number of this we can place. 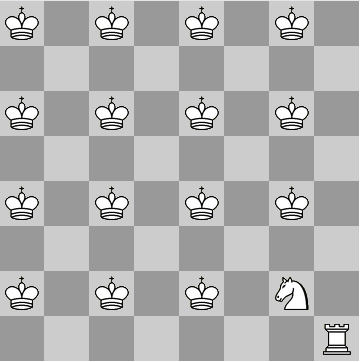 It means Knights = 1/32. Bishop = 1/14. 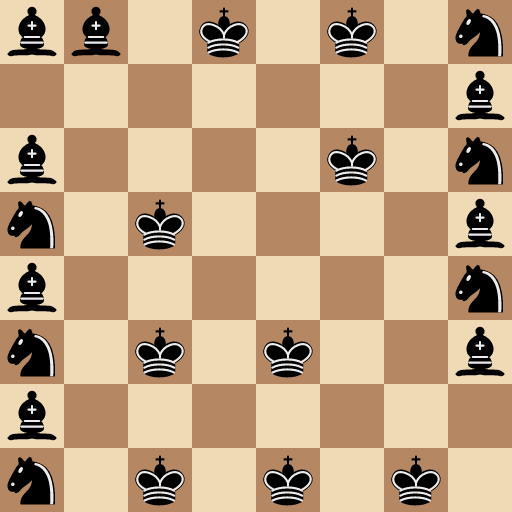 Rook = 1/8. 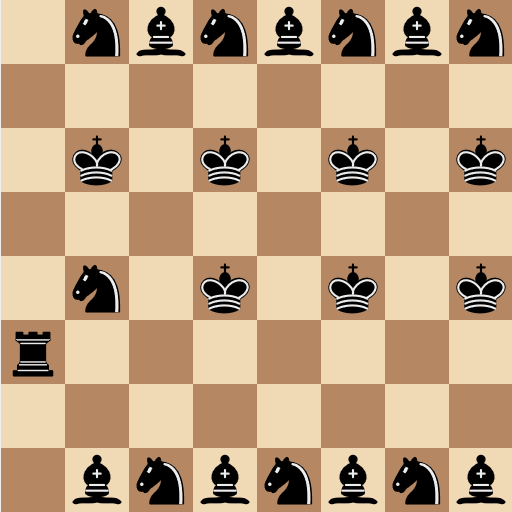 Queen = 1/8 and King = 1/16. What is the best sum value we can achieve mixing these pieces still with none able to take each other? 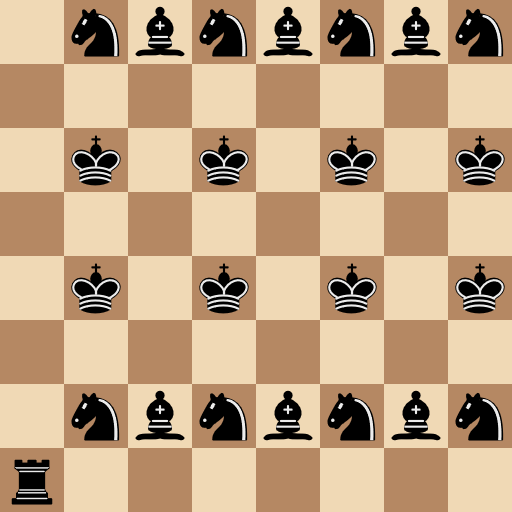 In this position we have 1 queen, 4 rooks, 1 knight and 2 kings, so the value would be 1/8 + 4/8 + 0/14 + 1/32 + 2/16 = 25/32 = 0.78125. Can you beat that score? Hard Question: Can you prove that your answer is optimal? Here is the brute Force Code written by @fireflame241 confirming this is actually optimal. 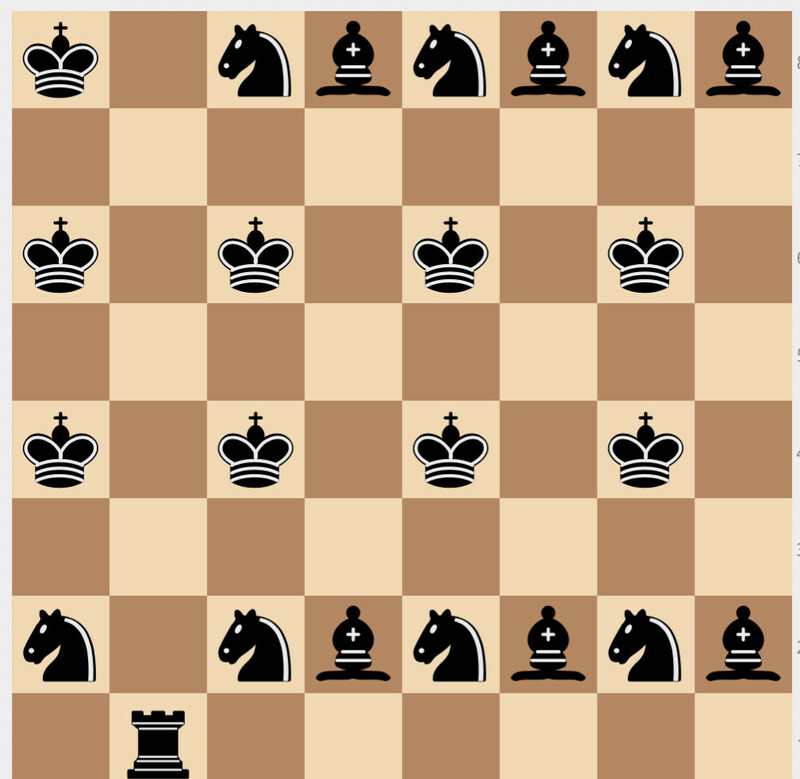 Note 1 on optimization: Clearly no queens should be used since a queen will attack more squares than a rook at the same score. Yes, you can score better than $1$. And here’s my version of the brute-force proof that 299/224 is optimal, with a variation of the optimization @fireflame241 used. I implemented it incorrectly the first time and wasted 48 hours, oops. It now runs in about 50 seconds. Not the answer you're looking for? 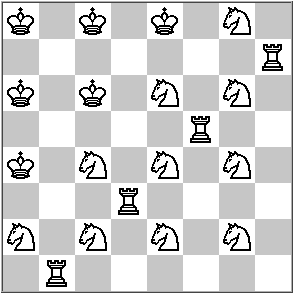 Browse other questions tagged chess optimization or ask your own question.